…..but, not a word about the responsibility of Muslims to rein-in their terrorist element. MECCA/RIYADH (Reuters) – Even at Islam’s holiest sites and during the most sacred time of year for Muslims, some people cannot stop talking about Donald Trump. Gee, no mention of the fact that Saudi Arabia won’t let any of these millions of Muslim ‘pilgrims’ stay in their Muslim country! Reuters apparently didn’t find anyone to speak up against their own terrorist element, but they found this guy! Oh, that is going to inspire communication—NOT! I’m wondering if every local US health department should be alerted in case Muslims from the US come in contact with the disease as they travel to the Hajj. A man being treated in a London hospital for a lethal ‘Sars-like’ Middle Eastern virus has died. 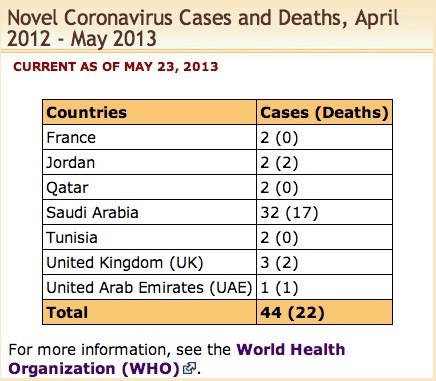 This May 23rd graphic is already outdated—77 cases now with 43 deaths! The man, a Qatari national, had been admitted to a private clinic in London in September, before being transferred to the specialist centre at Guy’s and St Thomas’ Hospital. He was diagnosed as suffering from the Mers virus – Middle East Respiratory Syndrome – which has affected 77 people worldwide, with 43 deaths. “Guy’s and St Thomas’ can confirm that the patient with severe respiratory illness due to novel coronavirus (MERS-nCV) sadly died on Friday 28 June, after his condition deteriorated, despite every effort and full supportive treatment,” said Robin Wilkinson, a spokesman for the hospital. The death of the Qatari man brings to three the number of victims who have died in the UK. Known cases of the illness have quadrupled since April, and it is deadlier than Sars, which killed 774 people in 2003. SARS killed one in ten affected people; Mers has proved fatal in 65 per cent of cases. The majority of the cases have been in Saudi Arabia, or in patients who have recently travelled to the region. 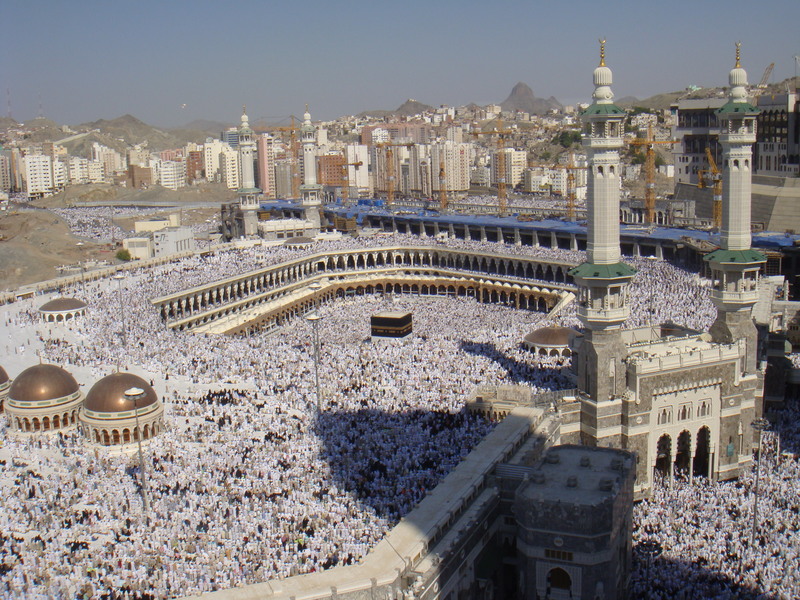 But with the annual Hajj pilgrimage due in October, and an estimated three million people travelling to Mecca, concerns are mounting that the deadly virus could spread swiftly. Cases have been reported in Jordan, Qatar, United Arab Emirates, Britain, France, Italy, Tunisia and Saudi Arabia – the country with the most confirmed infections. Visit our ‘health issues’ category for our previous coverage of MERS and other diseases and ailments that follow immigrants around the world.